Brooks launched the initial line of PureProject shoes back in 2011. This year welcomes the third iteration of the PureConnect, PureFlow, PureCadence, and PureGrit (the PureDrift, which was the most minimal of the group, does not appear to be getting an update and looks to be discontinued, as far as I can tell). However, for 2014, the PureProject name will also extend to an apparel line, described by Brooks as a streetwise collection that marries performance and style, such that it's appropriate "for wherever the run takes you." Today I'll be reviewing the Brooks PureProject Jacket. Being a runner doesn't mean you always have to sport that race-ready look. Bring the runway to your run with the cool, confident, and completely reflective PureProject Jacket. 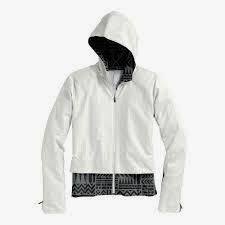 Reflective fibers woven into the outer shell turn this great-looking jacket into a high-visibility jacket at night. Inspired by the simplicity of the run, the PureProject Jacket's technical and tailored look is ready to embrace the journey, wherever it takes you. 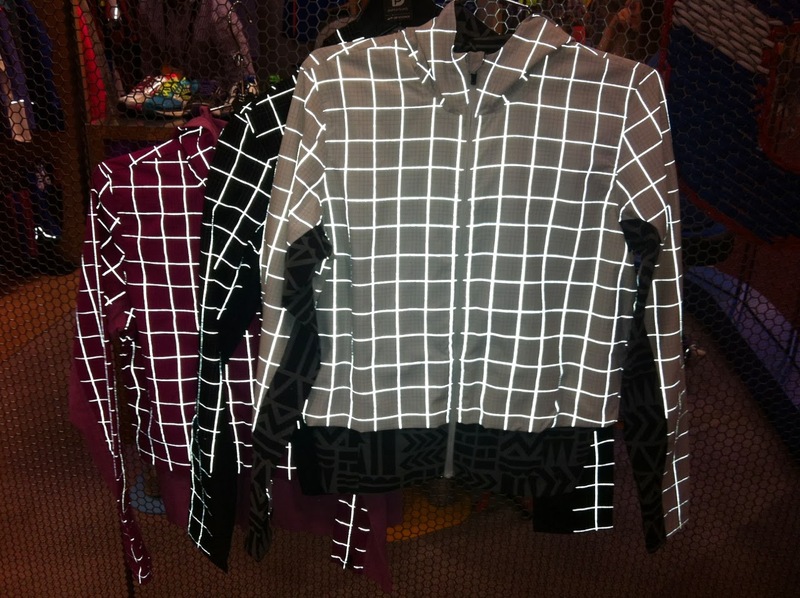 Reflective fibers woven into the outer shell turn this great-looking jacket into a high-visibility jacket at night. Reflectivity of PureProject jacket. I couldn't figure out how to make this picture work well with my crappy camera (aka my phone), so I grabbed this photo from Competitor. Probably the coolest feature of the PureProject Jacket is its reflectivity. Brooks has had its Nightlife line for a little while, but unlike the Nightlife line, which utilizes bright yellows and greens and small reflective strips, the PureProject Jacket weaves reflective material into the fabric, such that the entire jacket lights up in a checkerboard pattern. For your road runners who run in the dark, this is very cool. The PureProject Jacket is fairly warm. It does a good job of blocking the wind and keeping your body heat in. It's not a jacket I'd wear on a moderately cool day, but it's a good choice when it's too cold to just double up on long sleeves. Brooks' website claims that it's best for 40-65 degrees Fahrenheit, but in my opinion, you'd have to run really cold for it to be appropriate for those temperatures. Personally, I've been rocking it when it dips below 20 degrees Fahrenheit. It's also water resistant, but not waterproof, so if it's misty out, or it's doing the off-and-on kind-of-raining-but-not thing, it'll keep you dry. However, if it's actually raining (especially if it's a cold rain), you'd probably be better off with something actually waterproof. The PureProject jacket is a good-looking jacket. It's something that I've worn to class with jeans, and it's not immediately obvious that I'm wearing running clothes. (I actually have gotten quite a few compliments from non-runners). While it appears to layer a fitted shirt under a short jacket, it's actually only one layer, where the "inner layer" begins at the bottom of the "outer layer." I think I'd prefer it to be a little looser/not as tightly fitted for running (particularly through the shoulders, to allow for more free range of motion), but since Brooks is going for a marriage of style and performance here, I can see why they chose to go the route they did, and it's not like you really need full range of motion in your shoulders to run. My biggest gripe about the women's jacket is that it's very short (I'm not sure how the men's fits). You almost certainly need to wear either a longer shirt underneath (and it needs to be fitted, or it'll puff out ridiculously from under the jacket) or high-waisted tights, unless you want the jacket to ride up and expose your midriff. While I'm all for showing off hard-earned abs, if it's cold enough to wear this jacket, it's cold enough that I don't want exposed skin between my jacket and pants waist band. I get that it's cut short to be fashionable, but in the battle between function and fashion, function needs to win (at least when it comes to technical running clothes). The Brooks PureProject Jacket has a short zipper on the sleeve to give you more room at the wrist. The men's version of this jacket has those nifty little cuffs with the hole for your thumb (I've always called these "ninja cuffs," but I think I may have made up that name). The women's unfortunately, does not. What the heck, Brooks?! I guess the women's jacket is $25 less, so there's that, but both jackets are pricey enough that women should get ninja cuffs too, if you ask me. 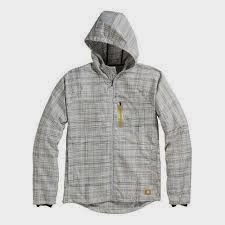 The women's jacket does, however, have a zipper to give you a little more room at the wrists, which is a nice touch. The Brooks PureProject Jacket is a stylish piece of outerwear for cold days. The reflectivity is excellent, something that will be appreciated by nighttime road runners. The fact that it's wind resistant is also a nice bonus. While it wouldn't be my first choice for a jacket solely for running, if you're looking for something that you can wear with your regular clothes that still performs well for the run, it's certainly a jacket to consider. The Brooks PureProject Jacket retails for $135 for the women's jacket and $160 for the men's jacket, and is available on the Brooks website as well as at stores where Brooks products are sold. It is available in white, pink, or charcoal for women, and light grey or charcoal for men. It runs on the small side (well, the women's does, I'm not sure about the men's), so if you're between sizes, size up. Full disclosure: The Brooks PureProject Jacket was received free of charge as part of a pre-release holiday promotion that Brooks was doing for the jacket. The opinions expressed in this review are mine and based on my experience, and do not reflect the opinions of Brooks or anyone else.